In general, we try to keep it positive when it comes to discussing competing lasers on the market but we get a lot of calls asking how our lasers compare to unbelievably cheap and hyper-marketed lasers that are advertised on the web. We will try not to scare you but this article is about some of the more questionable lasers that you can find on the web. Professional quality lasers are expensive so there are people have entered the market to try and make a quick buck. After years in the business, we have found that the cheap or "too good to be true" lasers can be grouped into 5 categories. In the US, the FDA clears medical devices like cold lasers that are used to treat health problems. When it comes to lasers, over-the-counter lasers that do not require a doctor's recommendation are limited to about 5/1000 of one watt or 5 mW. 5 mW is the power of many laser pointers. 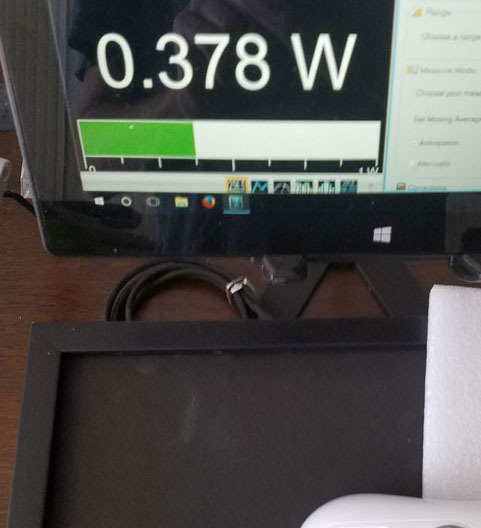 Some companies claim that this is enough power and that they get similar results to professional therapy lasers but the truth is in the numbers. A 5 mW will put out a total of 432 joules in 24 hours. This is the same dosage that a class 4 laser puts out in 30 seconds and an average class 3b laser does in 7 minutes. 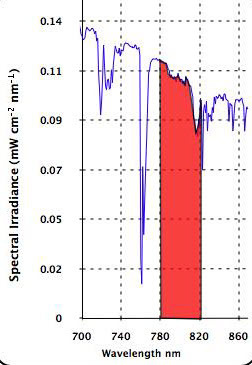 A 12 hour continuous therapy session with 5mW systems puts out less energy in the IR therapy spectrum (780nm to 820nm) than you would get sitting in the sun for 34 minutes (see image left). So, don't pay more than 10 dollars for a 5mW laser, just put on some UVa and UVb sunscreen and sit in the sun. We sell our systems based on the specs and not claims. We publish the specs for every laser at the top of the page for each product. Laser manufacturers usually spend a lot of money designing safe systems and testing them to make sure that they are safe for use on humans and pet. Using special optics, they spread the beam over a large area so that their systems can deliver a higher dosage without heating. Cheap lasers usually have cheap optics or no optics so they can be dangerous. Even a 100mW laser can burn your tissue if the beam is not properly designed. This is especially critical for the cheap class 4 systems coming out of China. Some of these systems can cause 4th degree burns and permanent damage. So what about the lasers over 5mW on ebay and for sale from guys calling themselves "energy healers"? These lasers make health claim but are not FDA cleared and are more than 5mW. It is pretty clear cut, these product do not comply with the FDA regulations. The FDA has put other questionable laser sellers in jail but the FDA is pretty busy so it might take time before they lock up these sellers. The question is "can you really trust the specs and claims from someone who is blatantly breaking U.S. law and how will they service your laser or warn you if you product is unsafe when they are in jail or out of the country." 1. Will your licensing body allow the use of non-FDA cleared devices? If a doctor is using a non-FDA cleared product, they might be at risk to lose their license (depending on the state requirements and regulatory body). 2. Will your malpractice insurance cover your use of the product? Using non-FDA cleared equipment can also neutralize malpractice insurance. If someone claims they were hurt by a non-FDA cleared laser (even if the laser was not associated with the damage), some insurance companies will not defend you in court. Often times, these law suits are total nonsense and they are easily dismissed if you are using an FDA approved product according to the manufacturer's recommendations but it might be hard defend your practice in court if you are using a questionable product. We sometimes buy lasers from different manufacturers (including China) to see if they are up to our standards. We recently tested some very low cost "ebay" systems. The image to the left shows the output of a laser that is rated at 540mW from the manufacturer. On our calibrated test system, we first tested a Thor system. It slightly exceeded it specification about 2% as you would expect from a top quality system. Then we measured the low cost import at .378 mW. When I asked them why the do not meet their spec, they responded by saying " Â Regularly, the output power is lower than the max. If not, long time max output power works, the lifespan of the laser medium will be reduced." In other words, if they meet their specification, then the laser will not last very long. This is the way some manufacturers and sellers think. Why would you care about meeting the specification for your laser when it is an illegal product anyway. It is just a made up number. When you buy a questionable product, you can not trust anything from the actual power to the warranty or the safety. In this example, it would cost us more to return the laser than we paid for it so it is a total scam. We test samples of every system we sell and we guarantee that they will meet their spec. 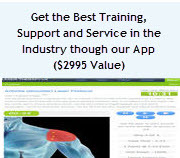 What about the laser sales websites that claim they sell FDA cleared laser at half the price of typical lasers. The price is just too good to be true. I don't know a nicer way to say that these groups are bold-face lairs. In some cases, the FDA clearance is for cosmetic or surgical use and in some case, they just took the FDA 501c documents from a real laser company and send them out to people even though they are not selling that product or even associated with that product. Once again, this is the kind of blatant abuse that the FDA really hates so it is just a matter of time before they are prosecuted and there is not longer any support for the laser. Ask us for the FDA clearance or Health Canada clearance paperwork for any laser and we will send it to you. There are several different laser companies that distinguish their product using questionable science. One seller that ends up on the top of the Google paid listings is a prime example. They have fake "review" site is a blog that says that most "cold lasers" are scams and their product, the ZPE is the best therapy laser on the market. They advertise their own brand of "cold lasers" in the price range from $600 to $3,200. I found this puzzling since I own a product that looks almost identical to the ZPE. Here is a picture of a laser pointer that I purchased at a convenience store for less than $10 in 1990. 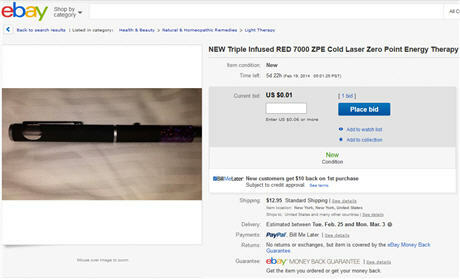 Here is a screen capture from Ebay showing a zero point energy cold lasers selling for 1 penny. This same product is sold as a therapeutic cold laser for $695. Here is another scam. Stickers that make lasers more powerful. I hope that I don't even need to go into any details why this is a total scam. If you believe in magic and really need a sticker, I will send some of my kids stickers for free. They will boost the laser performance as much as any stick you can buy for laser enhancement. We have been approached by several people to sell their "encoded" lasers. These product have some mystical property where information is added to the laser beam using some futuristic technology. The first clue is that that this is a scam is that the product looks like a cheap laser pointer with shiny paint. Yes, after hundreds of thousands of hours, engineer have found out how to make 2 machines talk the same language over a laser link. That is relatively easy because engineers defined the language for both the transmitter and receiver but how does has some tiny company learn the language that your cells speak and then build a laser without any microprocessor that can talk to cells. These products claim to add information into the laser beam to send it into your body. This concept might have some validity but it would take some serious engineering to figure it out. If you have that kind of resources, I don't think you should put it into a device that looks like a 10 dollar laser pointer. Of coarse, that little extra "theory" increases the cost the device from around $10 to $500 or more. All we can say is please do your research before purchasing any products based on claims and not on specifications. Here are some other words like zero point energy that are used to market lasers that have no real meaning. They are purely used to make the lasers sound like it is something special and these words have no scientific research to back up their claims. In an article published on the WALT website by the Gurus of LLLT, Jan Turner and Lars Hode, they address scalar waves by saying: "This is, of course, a complete fabrication, a crackpot theory." Turner and Hode are some of the biggest advocates for laser therapy so they can see how this type of marketing is detrimental to entire industry and they say there is no need for this kind of fabrications when the science is so solid. In general, there is a inverse relationship between a solid technical product and over-hyped marketing. The greater the hype, the lesser the product. Manufacturer that don't use hyper-marketing to describe their products rely on quality, support, specs and reputation to sell their products and not trickery. At ColdLasers.Org, we only sell well-established legal products. We sell systems based on concrete factors and specs like wavelengths, power levels, pulsing frequencies, warranties and protocol support. We try to stay away from the hyper-marketing as much as possible. All our products are FDA cleared except for the laser that say "animal use only". Â When you are comparing products, make sure you understand the specs and how they affect the performance before you buy anything and be on the lookout for illegal, hyper-marketed and underpowered systems.